I ended up feeling like this. I don't know what just happened there. Due to some normal-people budget hurdles, furnishing our house took a lot longer than I expected. I ended up getting about 90% of our furniture from thrift stores and then redoing it myself. But, as with all things, there was a bit of a learning curve, and my first few attempts were less than desireable. But, I don't regret it. It's embarrassing to look back on, but if I hadn't done all of this I would have never realized what I loved doing. And also, this blog probably wouldn't exist. Plus, my style constantly evolves, and I'm glad I was forced to experiment for awhile rather than buy a bunch of expensive stuff that would only drive me crazy today. There was definitely a point early on where I was searching for a black pleather headboard. So, that being said, I thought it might be fun (for you) to see how some of our rooms have evolved through the years. 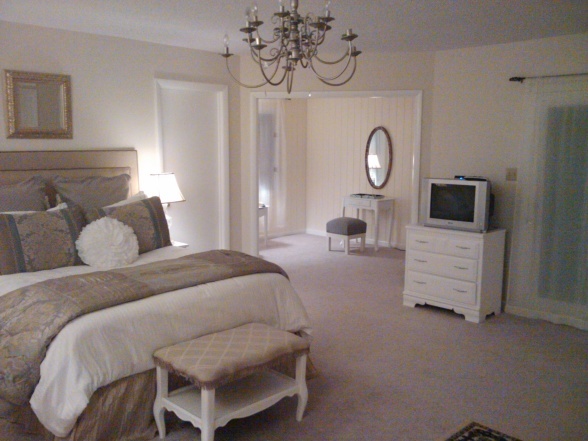 I plan to get to some of the other rooms later, but for now we'll just start with the bedroom. Some of these photos have never seen the light of day, so hold my hand while we walk down memory lane. The very first time we saw this house, the master bedroom is what stood out to me the most. It was horribly outdated, but there was so much potential. This is the photo of the room that was in the real estate listing. We bought the house and moved in, and for the first 2 months, we slept with a mattress on the floor. Why on earth was I bothering to make the bed? Type A personalities unite. And then something crazy happened. I did a lot of googling and taught myself how to paint our outdated wood trim (and paneling) white. It doesn't seem like a big deal to me now, but at the time it was super intimidating. Still making that floor-bed like a champ. After the trim was painted, the next step was to figure out a way to get our bed off the floor. I couldn't afford to buy a new one, so instead I used some plywood, foam padding, and a dropcloth and I made my own headboard. I also replaced that gross ceiling fan with a thrift store chandelier that I spray painted silver. You can also bear witness to my first ever upholstery attempt on that little chair and stool. Around this time, I also painted my first little dresser, painted that vanity I found at the thrift store, and upholstered an end table that I somehow convinced myself was okay to use as a bench at the foot of my bed. I learned a lot, I messed up a lot, but I kept at it. The room looked like this for probably 6 months, but it eventually got a bit better. This version of the room was actually one of my favorites, and also somehow ended up becoming one of my most popular posts (although maybe not for the reasons I intended). 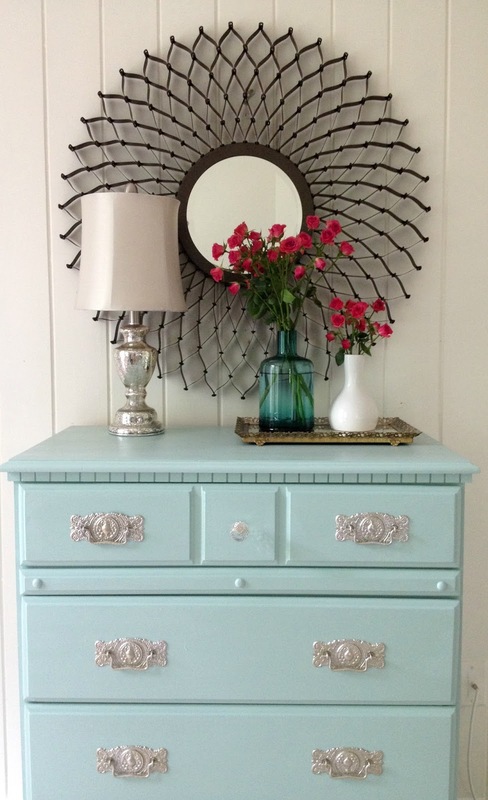 I found that amazing dresser on Craigslist and painted it. I also reconfigured the room, moving the bed to a different wall and putting the dresser where the bed once was. I also stenciled the top of the vanity, moved it into the main room, and moved my old hutch into that side room. I also added a rug from Home Depot. Not much changed in this version, but I painted the top of the vanity high gloss black, painted all of the thrift store mirrors silver, and then switched out the gold bedskirt for a white one. I have this cool habit of making things worse before they get better. I also painted this old hutch I had sitting around and stuck it in the side room. That chevron chair cushion upholstery didn't last long because....well, I was over it. Something about this version just wasn't working for me, but I couldn't see why at the time. Obviously, it was just too much white. 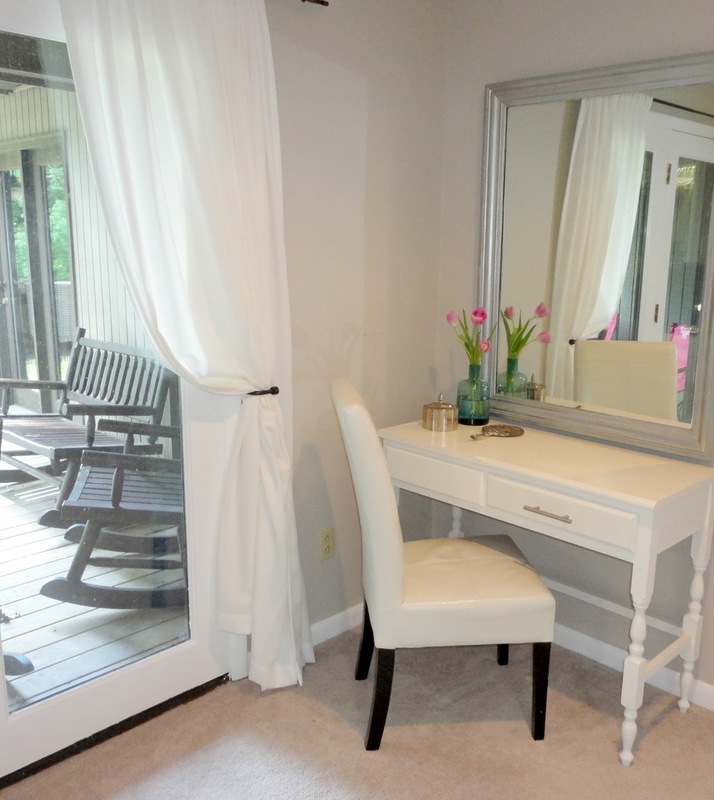 I added a white rug, painted the vanity back to white (that poor vanity), added the dropcloth upholstered chair and added an ottoman at the foot of the bed. I also painted some stripes on a couple pillows. Here is the view from the other direction. Things started to improve a little bit with this version. I replaced the massive chandelier with a smaller lantern that I found for $5, and replaced the white rug for a green rug. I also added some larger accessories to the dresser, painted the doorknobs black, swapped the pillows, and added the striped bench that I made. Here is Version #9 from the other direction. And then that brings us to today. I don't know if this version is any better than any of the others, but the room feels a little more colorful, a little more lived in, and a little more me. ...and some colorful furniture (thrift store stuff that I eventually painted). Our side room now functions as a mini-gym, and a room with a blue dresser. So, I'm making it up as I go along. I also added a new chandelier to the room that I love. And I also made a few new pillows for the bed. My mom gave me a sewing machine for Christmas last year, but I've struggled to learn how to use it. So, I made these pillows with glue. I feel like she would be so embarrassed of my sewing skills but thrilled with my 'make it work' skills. Sidenote: that art above the bed...I found a botanical print that I loved at the thrift store and painted the outdated dark green mat white. I've mentioned before that I spray paint mats from thrift stores. But in case you don't have any spray paint or if you just don't have the right color, you can paint it by hand, too. I just used some tape to cover the print (which was previously glued to the mat) and used some leftover off-white interior paint. I was debating painting the frame, but for some crazy reason, I felt like leaving it as-is. I'm thinking this was a mistake. Progress over perfection. I also framed a greeting card that had a flamingo on it. Not sure that's my best work, but you can't hate a girl for trying. Also, those tulips did NOT want to participate. Tulip pout. I also updated the vanity area....all thrift store finds. a few more thrift store finds. And some cooperative tulips. I've also been working on updating the closet for the past few weeks. I painted all of the walls aqua and spray painted a bunch of junk silver. You'll have to go to that post to see the details. Here's a tiny taste. Feel free to ooooh and ahhh over my vast collection of Mossimo/Merona clothing. I'll leave you with this little nugget. I get emails all the time from readers wanting advice on how to decorate a room, and the truth is...I don't know. I'm not an interior designer, I'm not trained, nor do I possess any rare skill. All I know is that if you keep trying at something, you will eventually improve. It's the whole 10,000 hours thing. So, just keep at it, don't give up, and you will eventually be able to create a home that you love using some second hand finds. Or just stuff you bought at a store that you accumulate over time. Either way is fine, and either way require a little trial and error. Think outside the box and don't you dare be afraid to try something for fear of failing. If you try something and it doesn't work, try something different. You may even make it worse. I did. Several times. Just keep trying. 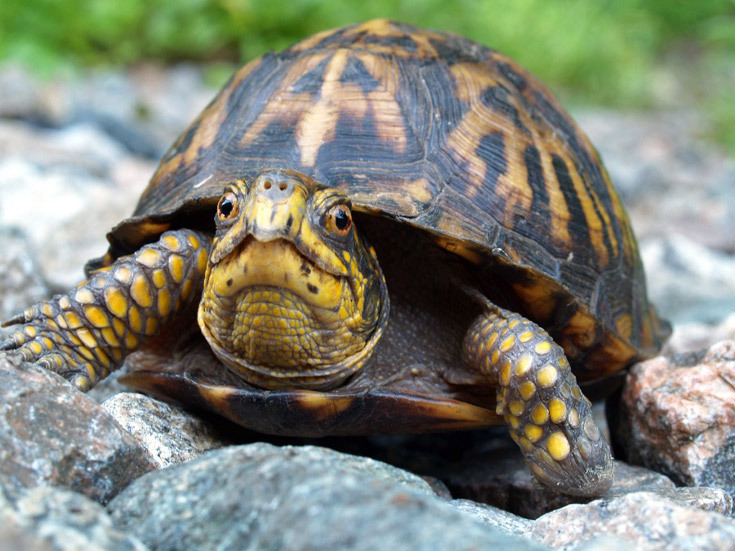 You WILL eventually learn to harness your inner turtle. And eventually you will rock that turtle. Thanks for being here. Love ya'll. Update: 3 years later, this room eventually underwent some major changes, as seen below. You can read about them here. I would put a piece of glass or acrylic cut to size on top of the vanity. Much easier clean up, and it would protect the paint. I was scrolling down to leave the same suggestion of glass or acrylic for the vanity top, and low and behold, someone else left the same suggestion -- great minds think alike! I actually think the glass would hold up better to the heat of a straightener or curling iron. You can have the edges sanded and polished so they don't cut you. Thank you so much for this post. I've recently discovered your blog (not a blogger myself) and find your information to be really useful. I tend to take a slow approach to decorating but more from being afraid to change (I'm working on it)! This post gives me hope that I can do it slowly and change it as often as I desire. Sweetheart you have described my entire decorating life here! I can't decide and I change my mind and I keep painting and changing stuff. I agree, if you threw all the money in the world at it when you first move in you would hate it later cause you have to live in a a space to know what you want (and even then it takes a long, long time). Love your pouting tulips better than the soldier ones. 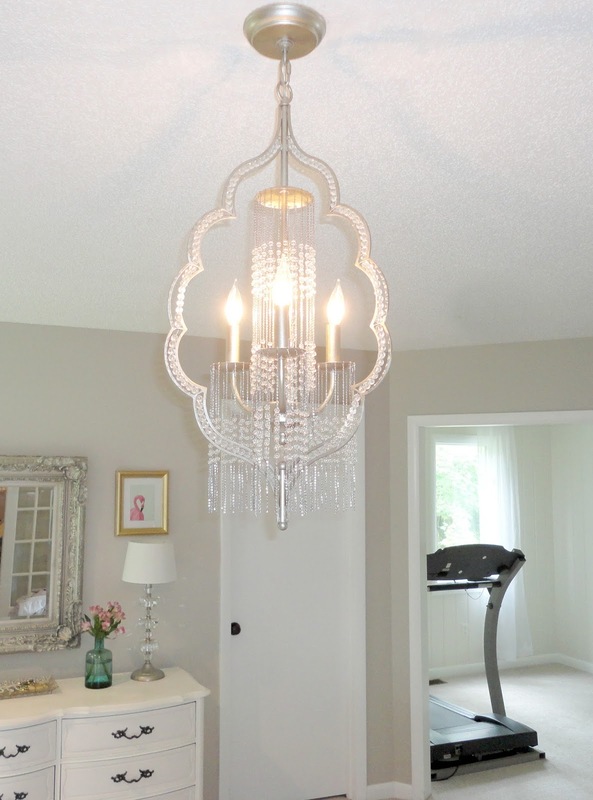 Love that first chandelier - holy send it to me!!!!!!!!!!!!!!!!!! The teardrop one is pretty spectacular too. Love a lot of the different design looks. Why don't you buy a piece of tempered glass to cover the tabletop of your vanity? That would work the best, I think, or tile it if you don't like the glass idea. Love your pretty bedroom and thank you for sharing all your ups and downs. Loved hearing the 10 step program! I'm with Anne - everyone makes a gazillion decorating mistakes as they go, but few of us can write about it as humorous and as honest as you kiddo. Keep entertaining and teaching everyone (even this grandma) as you go. Oh my. I'm so envious! Gorgeous. So neat and clean looking. The nearly all white gives your rooms a classy look. Such talent you have. Can you come here and do our bedroom?! I am totally in love with your house! 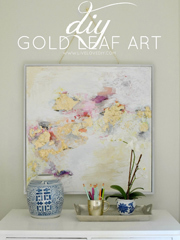 It's an inspiration for those of us who yearn to decorate and improve, but are scared and unsure of how to do so. 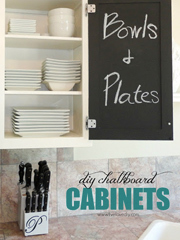 I've been taking baby steps but your blog is for sure a go to for any all things decor on a thrifty budget. 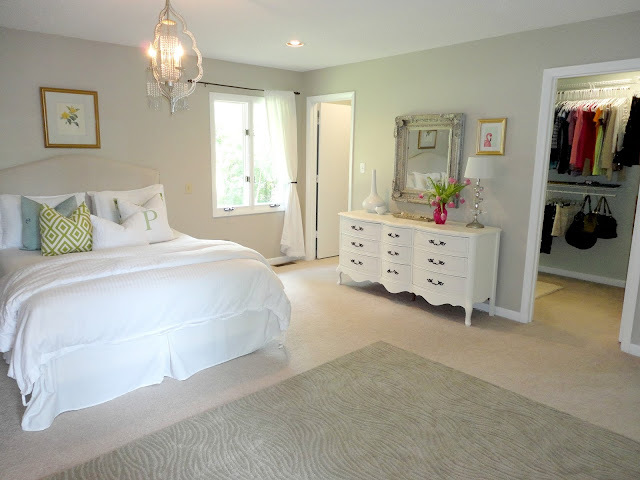 LOVE the bedroom! I love seeing the progression of your room, It has turned out beautifully. Can't wait for the closet reveal! 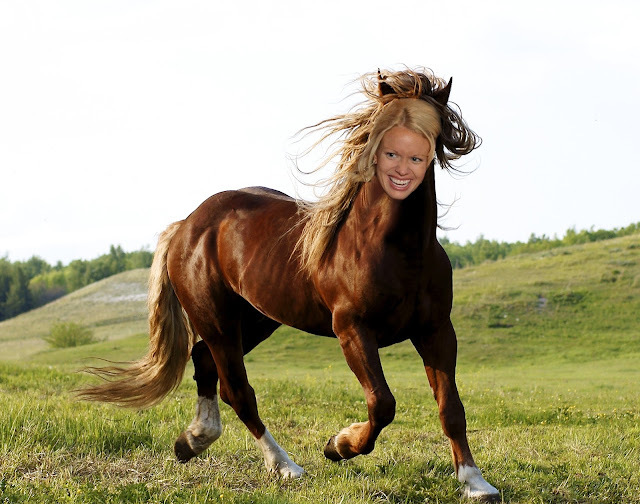 Love it, Caitlin! Thanks so much!!!!! Crazy ones, unite! what a great tour of your room changes...I am sure, if we are truthful, we all have changing tastes, that looking back weren't so great. I know I am forever changing things in our home. 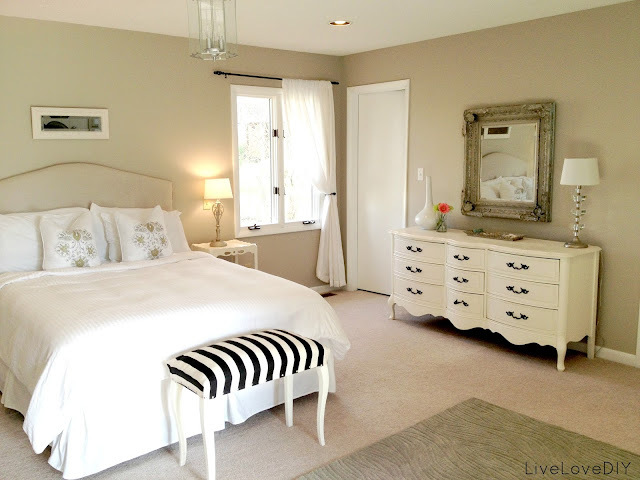 I love the calm feeling your room has with all the white...sure wish my hubby would let me paint some furniture!! Thanks so much Jule!! I couldn't agree more...he is so lonely up there by himself. I'm thinking about adding 2 smaller ones, one to each side. Or maybe one day I'll just find something I like better. The search continues!!! And thanks again...great tip! I loved this post - how awesome it is that you documented your entire evolution! I would also agree with just adding a glass top to the vanity - plus, it gives you more decorating space, like photos or some nice wrapping paper under the glass to add another pop of color! I'm getting ready to re-upholster my first couch.. well, it's my first ANYTHING to be re-upholstered, but I'm excited! It turns out, when I thought at 12 years old that I would always love a bright red couch, I was sadly mistaken. ;) I have yet to pick a fabric, though.. any thoughts on couch colors, by chance?! Very nice. Got a tip though. Get a more substancial curtain rod and move it up to the ceiling w/ longer floor to ceiling drapes. Will give a more finished look. Great tip, Christy! I couldn't agree more! I've been wanting to do that for quite sometime....just have to get some longer curtains or add some fabric to my current shorty versions! Thanks again! I was going to suggest a piece of glass, but see that's already been done :) You could also get an insulated travel case for your flat iron, one tat lets you put it away while it's still hot- I keep my iron in mine even when I'm not traveling and use it kind of like a coaster when doing my hair. They're really cheap on Etsy. love this! 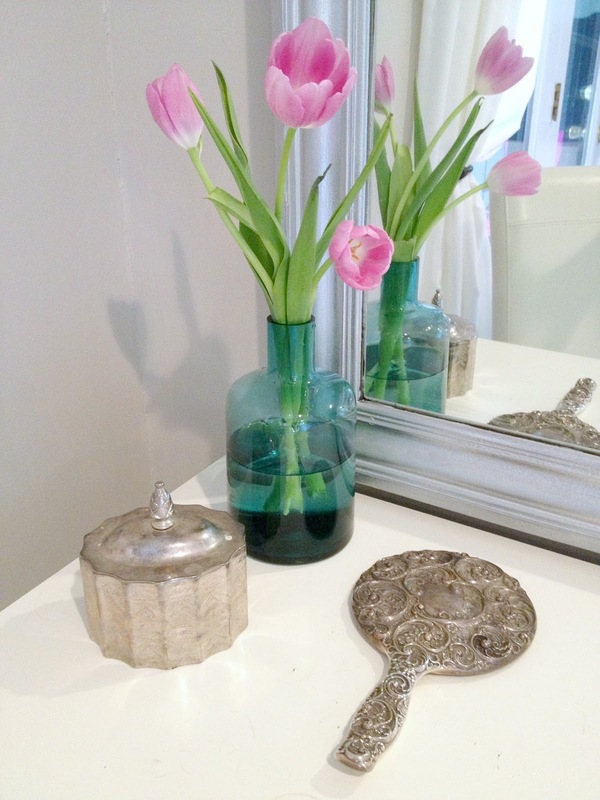 I suggest a penny in the bottom of the vase to help your tulips stand up - no idea why but it works. LOVE mixed metallics and the pops of color - thanks for sharing! This was such a fun post! I loved all the changes and the descriptions. I'm SO intimidated that you made all these changes in a year!!! You are amazing. I have DIY ADHD so there are about 6 projects for my bedroom that are started but not completed. This post has inspired me to get it done. Oh, and such a good point about waiting awhile before you make major purchases and changes. When we first bought our home I was so excited that we had a formal dining room but due to budget constraints I was unable to run out and buy a new sideboard/chandelier/rug etc. After a year of us only using it 3 times we turned it into an office and converted our "breakfast nook" into the dining room. Thanks for sharing! That is so incredibly sweet! Thank you so much! Love having you as a reader! I just discovered this blog and I'm so happy I did! I feel very inspired by your house and projects, and I can't wait to get started on a few of my own. 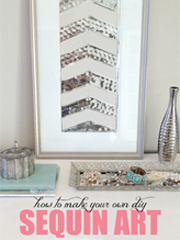 I'm thinking of attempting that amazing sequined piece you put up the other day - so cute! Thanks for sharing your great tips. Lovelovelove your blog! I'm showing this post to my hubs. I want to repaint my living room a lighter color, but I "painted it 3 years ago..why do you need to paint it again?" Men just don't understand! You crack me up girl! Your face on the turtle, priceless! Love the mining metals and flamingo!! I cannot for the life of me figure out how to make them stop. :) I've tried everything. The penny trick doesn't even work for me! I like the tulip pout - at least you could tell they're real flowers. I had fun reading all the way through, and I imagine you had fun putting this post together for us to read. Thanks and I will be visiting again. Love that light fixure from Lamps Plus! It does make a great statement in the room! Thanks so much Connie! You are so sweet! My goodness, your bedroom has lived so many lives in such a short period of time! It now looks so beautiful, you created a wonderfully peaceful and inviting place to dwell. 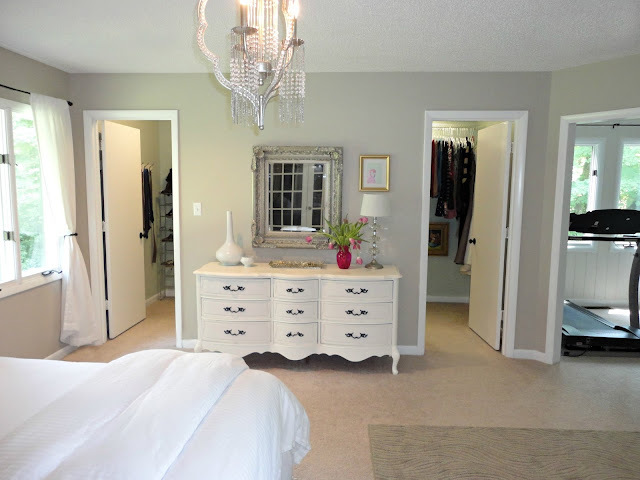 I particularly love your light fixture, your vanity table, the pops of pink and turquoise glass for whimsy, the switching out of the chevron chair (I am so OVER chevrons) and your gorgeous mirror. 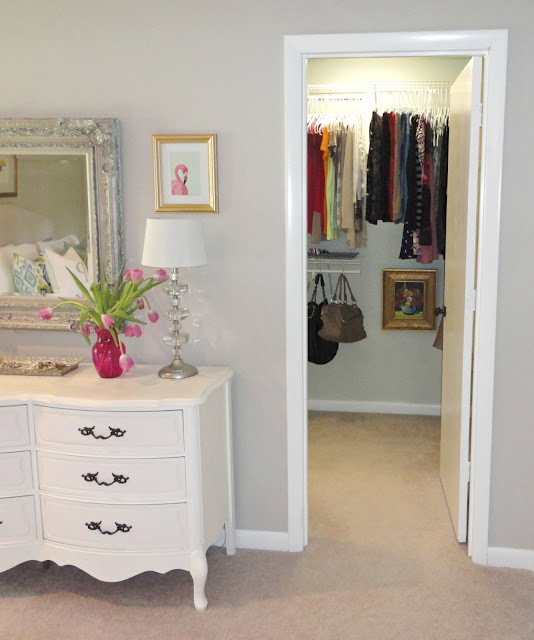 I just realized I could mention each item in the room as a piece that I loved! 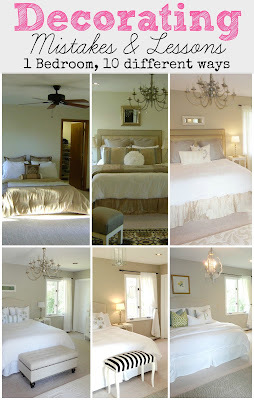 I have been in the planning (in my head planning) a major re-do of our master bedroom. It's taking me so long to commit because I'm afraid of doing something that we'll end up hating. Do you think it's all in the revisions and revisions? I'm prepared to do that. I'm beginning to feel like I could plan forever and what I really need to do is just jump in. BTW, did you have a LOT of purchasing and returning trips to make? Seems like you may have had many! Congrats on a FABULOUS finish! LOVED this post. It seems like bloggers always have it all together and never get anything wrong. It was definitely refreshing to read this post. I'm at a point where I just don't know what to do! We have been in our house for about two years and the only thing we have somewhat done is paint some of the walls. I get all worried about hanging stuff and buying furniture that I'm not going to love later on. I just need to TRY things or else I will never know exactly what it is that I want. G R E A T post! Seriously ~ thank you. What a fantastic way to let the rest of us know we're not nuts for changing, changing, morphing, & then changing again. Sigh... you've had a very calming effect on me today! BTW ~ so FUN to see the room grow up with you! I have commented on blogs approximately once (1x) since the internets were invented years ago, but this is awesome and you are hilarious. 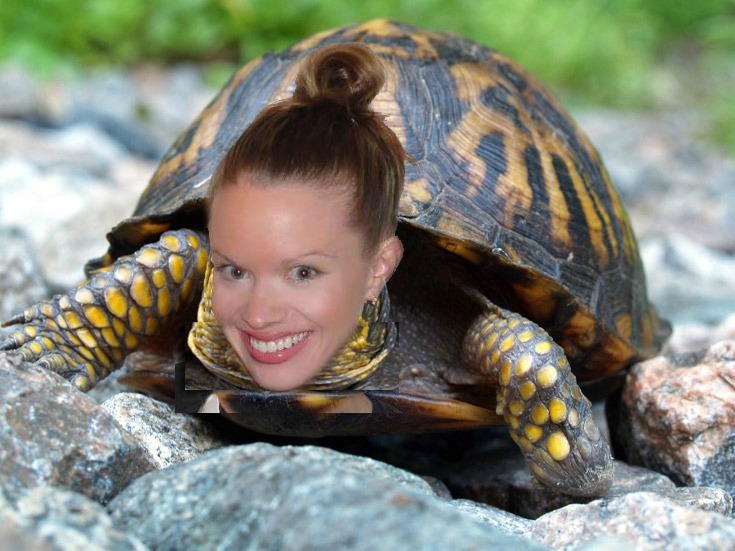 Thanks for photoshopping your head onto a turtle's body, and for sharing such cool home projects with us! I actually think you have a great eye and could easily be a paid consultant for this stuff! (Maybe you already are and I just haven't read your "About" section yet.) I plan to visit this blog often! Rock on, lady. We just moved into our new house after 3 months of renovating it (used to be my family house). We still don't have kitchen cabinets because someone (me) forgot to put a penalty clause in the deal with the kitchen cabinet provider :( and he still hasn't installed it (here's hoping that the daily phonecalls I give him will make him reconsider). Anyhow, my mother is an interior designer but I am going to do this all on my own (along with my jenious and so invloved hubby) and enjoy it along the way! Mistakes are going to be made for sure but they are after all our mistakes! Good for you for writing such an in depth post! Love the turtle, too!!! I stumbled upon this post from Pinterest, and it was such a refreshing read! I can totally relate to not getting it quite right! I have read tons of blog posts from different people who just seem to have the midas touch when it comes to decorating, but I can never put their tips into practice in my own home. You did a gorgeous job on your room. I am head over heels in love with that chandelier! Not sure whether or not this has already been suggested but I always put a neutral colored tile under my flat iron so it doesn't damage whatever it's currently living on. What color paint is your bedroom? Love your rooms and all you've done with them. They all look gorgeous! AND, it makes me feel so much better that I'm not the only one who changes my mind/style/look. My husband can tell you some wild stories! One tip about tulips (and other flowers) - there are green straw-like thingies(?) florists use to hold the flowers. They can probably be found in Michaels or Hobby Lobby or a floral supply store, and they can be reused. Just put the stem into the straws and that makes them sturdy enough to stand up. Awesome tip!! Thanks so much for all your sweet words, Lynn Beith! This post is absolutely fantastic (and informative and impressive)! I am in the process of moving and just getting over my all-white phase - but still mostly white ;). I've subscribed to you on BlogLovin' and will definitely be consulting with you via your blog as I decorate and re-decorate. Thanks so much! Love the finish product and the pictures along the way. Use a silicone hot plate on your vanity. I saw this at the hair dressers today and thought it was brilliant! 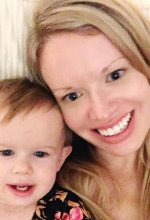 Love your blog, Virginia! Found it on Pinterest. Your creative solutions and the generous tips on the techniques you use are a real gift to your readers! Personally, I love the cascading (or as you call them "pouting" :-)) tulips, but if you really want them to perk up the trick is to *decrease* the amount of the water in the vase and wait a couple of hours, usually overnight. Usually about an inch or so of water at the bottom of the vase will do it. I absolutely love this post, and I so appreciate your candidness! I moved in my new home 6 months, and there are very few things on the wall. Our last house we painted accent colors everywhere, but I haven't painted on wall here. I need to get moving on it, and I am finally coming up with some ideas. I think spaces need to be lived in before you can get the full feel of things! 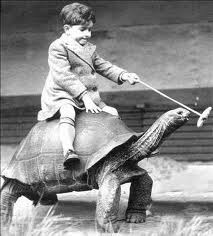 I absolutely love the photoshopped photos of your heads on the horse and turtle! Priceless! I SO enjoyed reading this post and my stumble upon it on Pinterest couldn't have been better timed! Having just bought our very first home, I am embarking on the journey to make it our own, so reading this really resonated with me. I have decided to start a blog with the hopes that I will end up with a record like this of my own. Thanks again for sharing ... looking forward to exploring more posts! Love your room so much! Thanks for sharing and thanks for sharing your mistakes along the way. We all need to know it's okay to change your mind and improve! 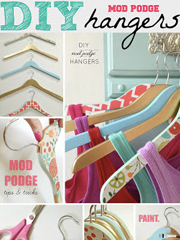 I love love love your blog!You have impeccable taste and very talented as well ! I wanted to share a tip regarding the top of your vanity ..it may sound unorthodox but I used white garage floor epoxy paint.they sell it in pints and quarts...then I used varathane water based for the floor..I did the brown craft paper decoupage floor and a glitter floor in my daughters room and this varathane floor sealer is indestructible and they have held up amazingly with a family of five..so I did my dresser tops and my kitchen island which I made from an old dresser . I look forward to more of your blog!You are a diamond in a rhinestone world !! Hi Virginia!! I just stumbled upon your blog and I love it!! Lots of awesome ideas and inspiration! 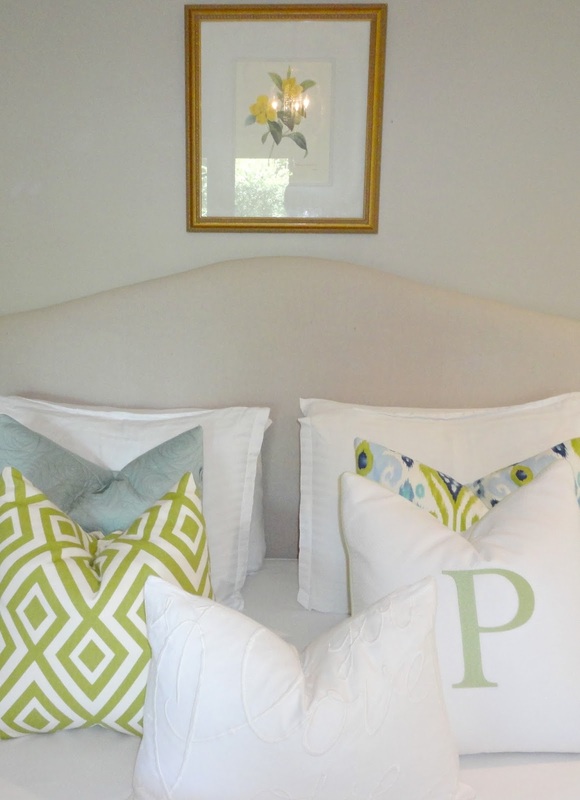 I love how the bedroom turned out, the pillows look awesome! I also love you crisp white bedding, can I ask where you got it? I can't believe that I just found such an amazing blog like this exist. Virginia, thank you for making this blog, I am moving to a new state and you have inspired me so much to set out to create my dream house. Big Thumb Up to you! This post is fantastic. I've just re-disscovered your blog as I enter the blogging world myself (bought a house, suddenly DIY took on a new life), and I sat here (at work, whoopsie) glued to this post, trying to suppress giggles. I just loved it. I also had an idea! I've been obsessing with black interior doors lately. 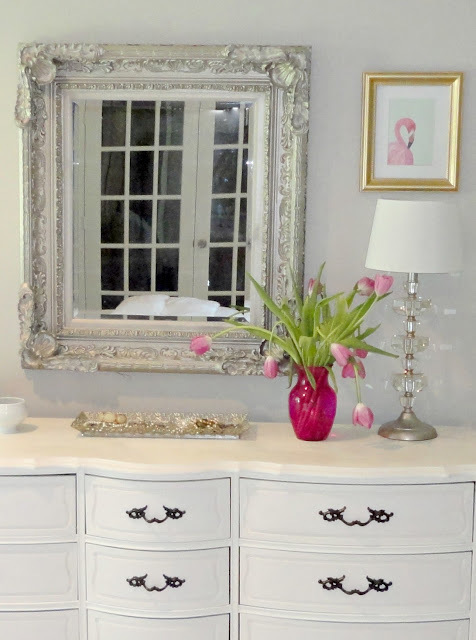 In the picture of the dresser with the big silver mirror - you can see the french doors in the reflection. Have you ever thought of doing them black, a la http://www.houzz.com/photos/3877319/Windsor-Road-Residence-Austin-TX-transitional-hall-austin? that is all! I will be coming back soon to read some more! I heart your blog, thanks! 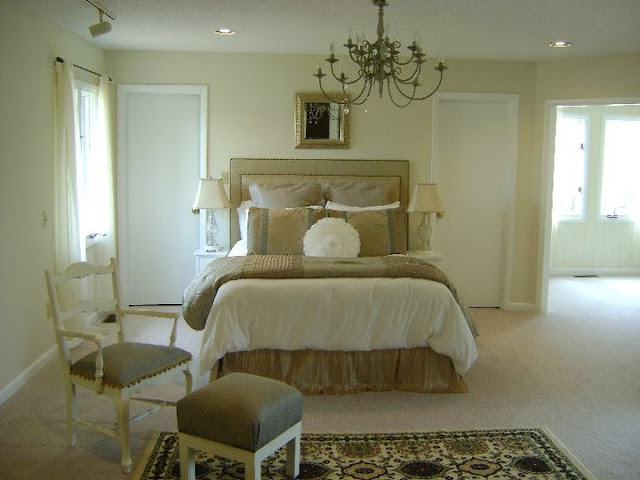 At what height do you hang chandeliers in a room like this? 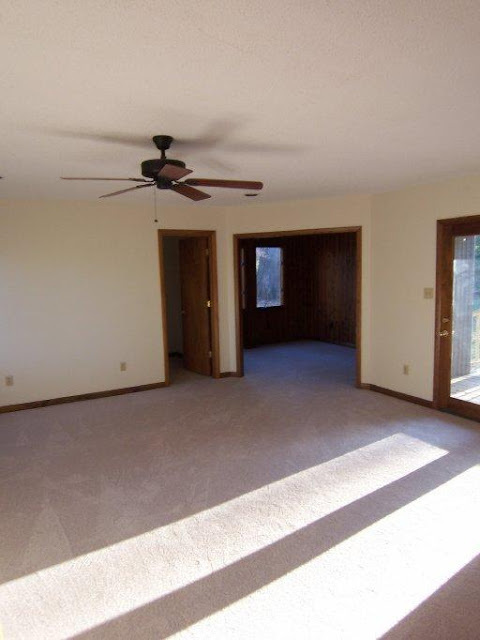 I have a space with ceilings about the same height as yours that I am using as a library, and the light fixture will fall right in the middle of room, so I'll need plenty of clearance for people to walk underneath it. Thanks! Hello! I only wanted to stop by to tell you how wonderful and amazing job u did! your blog is awesome!! Thanks for sharing! Lots of fun ideas! I also love metallic paints, though I hadn't (yet) tried the shiny chrome - but I'm almost there! To save and protect the surface of your vanity, beveled glass cut to exactly the shape of the top is perfect. A bit expensive but super practical. 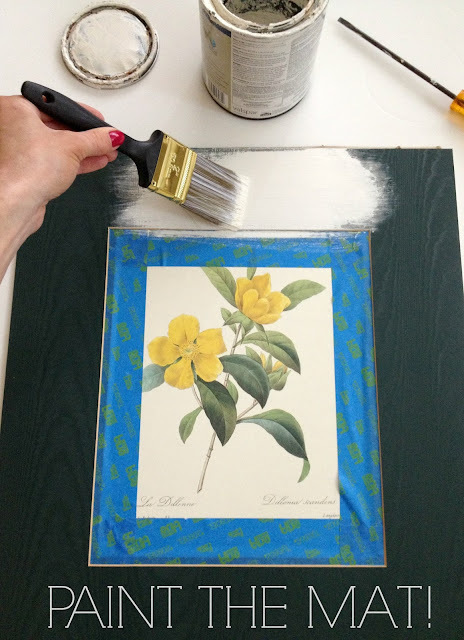 You could probably also (if you have all straight line edges) use clear 1/8" acrylic (which you could cut to shape) with the edges framed with really simple frame - the kind you'd find on super cheap/plain ready-framed "art"
You rock the turtle well! Just dove into a room makeover that I kind of don't know where is going. TSP, sanding and priming in process. I really want to paint the old fashioned 80's Florida style furniture. This is a beautiful evolution of a great room! Loooove that you documented your journey. I have been decorating my home constantly for 15 years. I love to decorate! 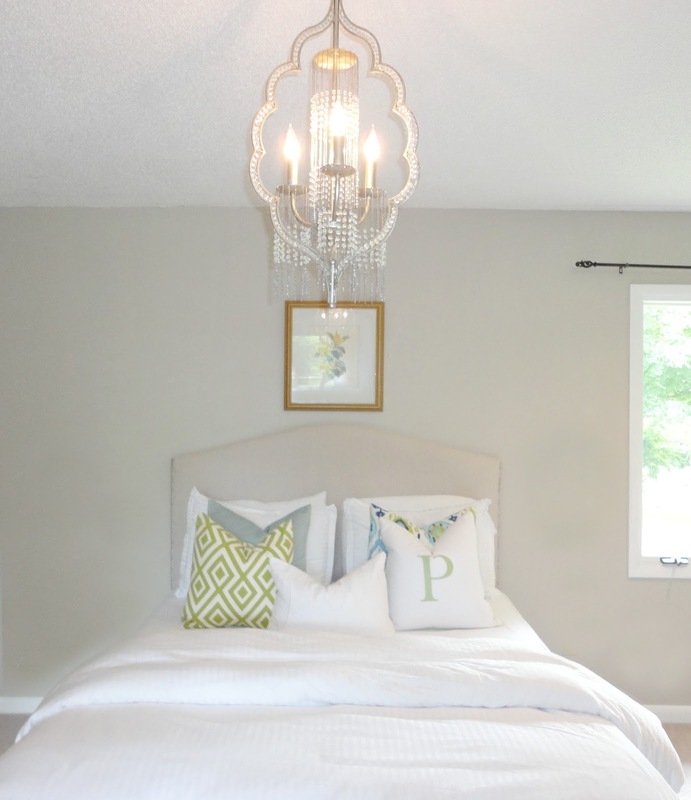 Love your room, especially the elegant light fixture. I love your blog. 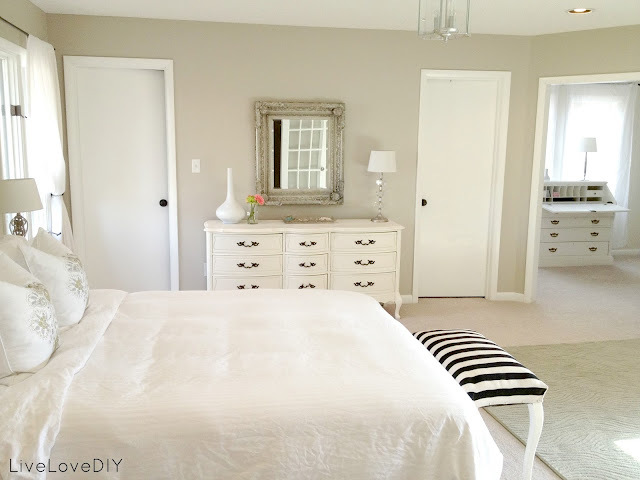 OMG, I just ran onto your blog via the bathroom remodel and was so impressed! Then I noticed the link to the master bedroom (and your comment about "get ready to laugh") and I have to admit I WAS laughing☺But I just have to tell you, I know nothing about you because I've literally read these 2 posts and I am thoroughly impressed. You are a tenacious and creative, DIYer and I have so much appreciation for someone willing to dive in and do it themselves. I am hoping to be inspired and YOU are encouraging me to just consider doing more MYSELF! Stop paying others, i.e., a painter and just do it! I'm off to see your closet☺ Thanks for the inspiration and all the best to you! I like the way you painted your picture mat, what a great idea, had never thought of that! Love your blog! It's amazing what little splashes of color can do. The room is just gorgeous...was great even before you added color. I think the way you did it is exactly right...you need to live in a home and feel it and then move on to decorate slowly. I am also a thrift shop queen and I think some of the best furniture is found there! You really have a knack for finding and doing good things..The room looks heavenly! Hi! 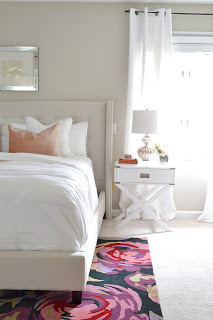 Love the transformation of your bedroom! Could you tell me the color of the grey paint on the walls? I've been on the search for a grey, and still haven't decided which. Thanks! Your process gives me hope. We have been in our house for 2 years now and yes- we even had the mattress on the floor for a while. lol But I love that your style is simple and not cluttered. That's totally me- at least in my bedroom. I'm just so stinkin' cheap- I have a hard time buying stuff that may or may not work or I will change my mind a million times. So I just don't buy anything. Well- that's NOT working because we have an adorable space and it lacks personality. Your room tranformation has hopefully given me courage to take that first step. Thank you! This is me right now! 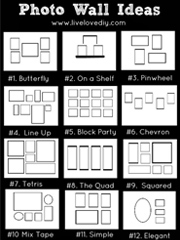 I read parts of it to my husband, so he would understand our ever changing/arranging styles. He would love me to do it real quick. I have done some things to get it done fast, but already changed a lot. I have bought several thrift pieces, fixed them up...liked them, but not for us...so I turned around and sold them. We have only been here for 10 months. Still nothing on the walls, because I want to paint. Oh what color to paint?! Thanks for sharing. I feel better now! I love that you seen to have one primary color for every main room in your house! Would you mind telling me the name/brand of that paint? I'm desperately trying to pick JUST ONE color for my interior (for budget reasons).